Most grasses demand a lot of attention, but we don’t. That’s because we’re more self-sufficient than most grasses. And that means we’ll save you time, effort and money. The Lawn Saver Grass Mix is one of the most unique grasses available. For one thing, it’s extremely drought tolerant. In fact, it needs only about 9 inches of water a year. And in drought areas like the Southwest part of the United States, that’s important. We have formulated a great blend of buffalo grass seed and blue grama grass seed to provide a lawn environment for those that are in desert communities or desire to use the amount of water that is available in a desert community. This mix is also easy to get along with. It’s at home in a variety of soils, so it has a high salt tolerance and a low nutrient requirement. But whatever soil you plant it in, it will germinate in about 5 days. And when it grows, it’ll have a close growth habit. Which will give you a dense turf with excellent coverage. The grass is also tough. So it’s great to use in high traffic areas. Another benefit to this buffalo and blue grama grass seed mix is that it requires little main­tenance. You only have to water it every couple of weeks and mow it about every three weeks. And since the grass goes dormant in the winter, its even easier to take care of during that period. Although this grass is tough, it’s soft in texture. And it has a blue-green color. So it’s perfect for just about any lawn. Especially if there’s not much time or water to go around. If you want a lawn that you don’t have to worry about, use Lawn Saver Grass Mix. Because no matter what amount of care you give us, we’ll always be there for you. The Lawn Saver Grass Mix should be planted between the months of April and September. It has a seeding rate of about 2-3 pounds per 1,000 sq. ft. And it shouldn’t be used in areas that have a lot of shade, water or acid soil. When it’s grown, it’ll reach a height of about 5 inches and should be mowed to 11/2 inches. Although this mix produces a grass that looks like a Perennial Rye, it’s as aggressive as a Bermuda Grass. The dormancy period for this mix in coastal areas is short and inland areas is longer. So a Perennial Rye can be used to keep the lawn green during this period. 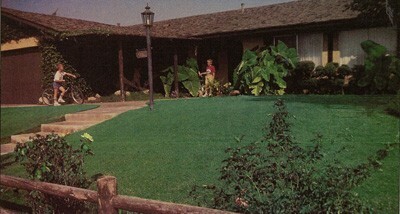 To maintain this lawn, you should fertilize 2 times a year. But thatching isn’t recom­mended. And you shouldn’t use 2, 4-D based herbicides for weeds. During the dormant period, you can use Round-up.